Shelf and storage niche in solid oak. 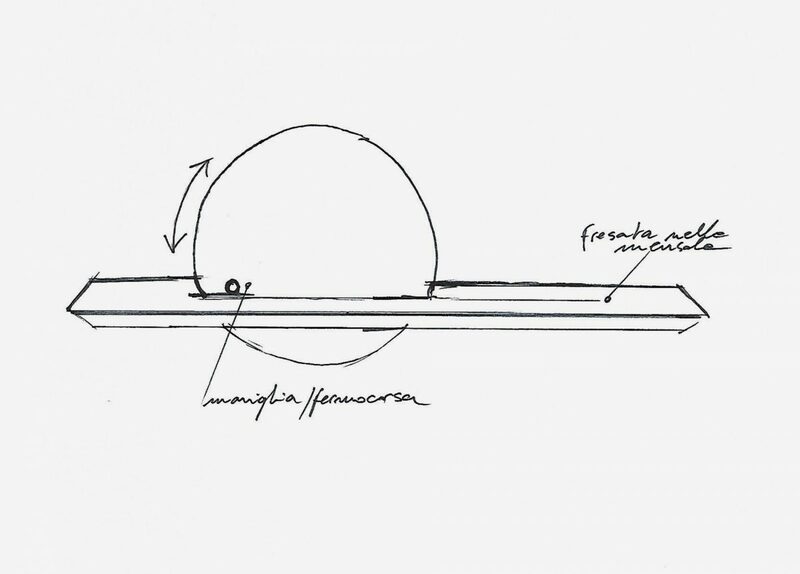 Mirror with fixed knob in solid oak. 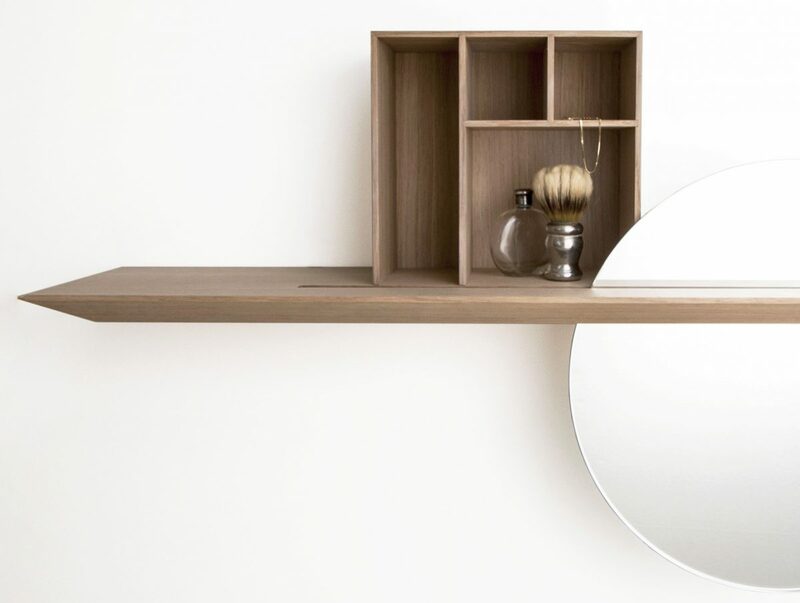 Handcrafted by cabinetmaker Giordano Viganò and developed within an exclusive co-designed project for yoox.com, barbatrucco is a furnishing accessory comprising a shelf, a shifting mirror and a small storage space. 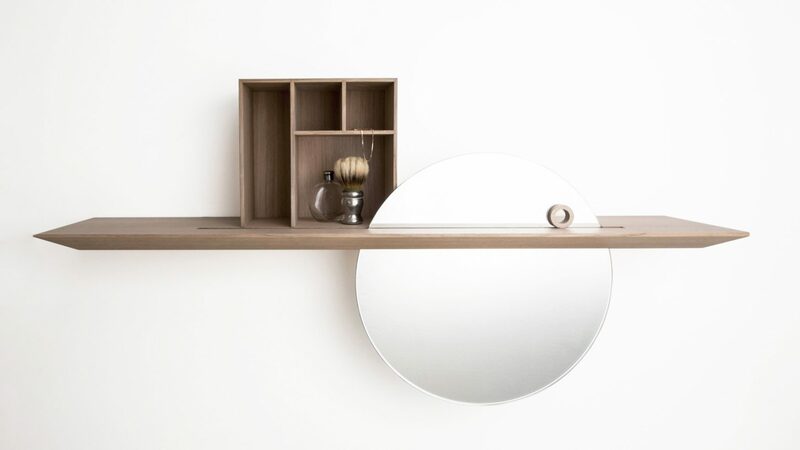 When closed, it only shows the shelf enriched by the mirror, which can be moved to reveal the wooden storage niche. Unique pieces, numbered and signed.